Crane National 633 Coffee Machine sells two different size cups of your favorite coffee, cappuccino and specialty coffee. National Coffee machines are simple in design and work well. . Vendors purchase this machine because it is not as fancy as the National 673 coffee but works well. Great machine for medium to large locations. . It has a very progressive styling and by the time we get through rebuilding it will look and work like a new Coffee Vending Machine. Over 30 man hours of labor go into each of these machines. Each machine also goes through our rigorous testing to make sure it is right before it ships. 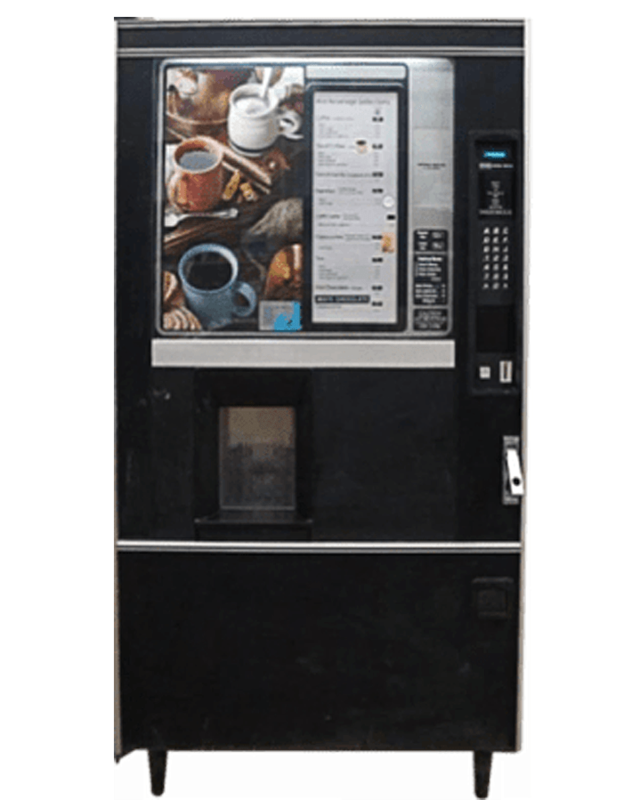 We are the best in the business when it comes to remanufacturing Coffee Vending Machines. We install new: durable tuff front panels, trim, coin insert bezel, sign, cup bezel, water filter, water valves, brewer screens and gaskets, price labels, lock and keys, instruction manual and paint.